We invite you to bring the whole family to see Frosty the Snowman, Santa, and Mrs. Claus for an evening of Christmas cheer! Make a day of it and check off that holiday gift list at our retail shops open 10-8 Fridays and Saturdays with in-store promotions, gift wrapping and other perks! Festivities begin at 4:30 with Frosty the Snowman! 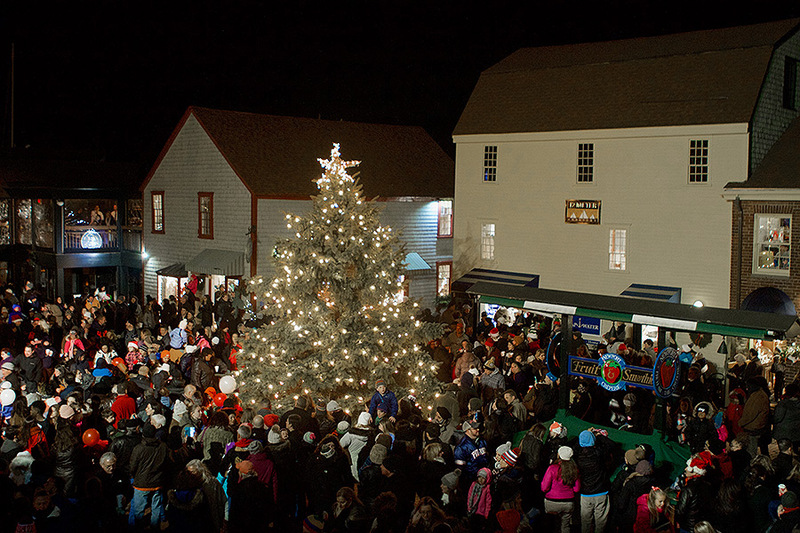 The Christmas Carol Sing-a-long begins at 5 pm, the Mayor lights the tree at 6 pm immediately followed by Santa and Mrs. Claus arriving by boat (weather permitting). Join us for a magical evening of charm, fun, and good cheer! Restaurants & shops are open before and after the event. Our Pilot House is offering a free wine glass with purchase of $10 or more (we have Bowen’s Wharf Christmas Tree Ornaments in stock) through December 31, during Holidays By the Sea and Newport Holiday Stroll.